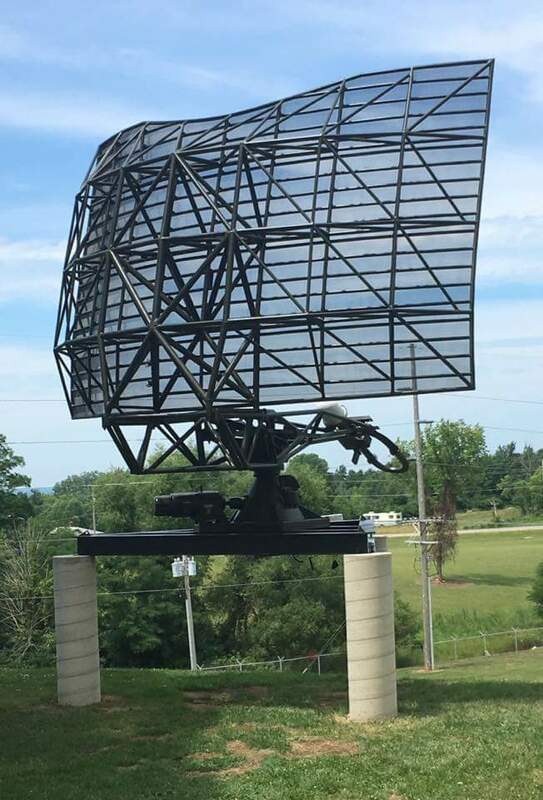 AN/FPS-18 is an S-Band remote controlled medium-power, short range air defence radar that was designed and built by Bendix as a SAGE system gap-filler radar to provide low-altitude coverage. It contains a fully coherent power-amplifier transmitter using a klystron for more reliable moving target indication. 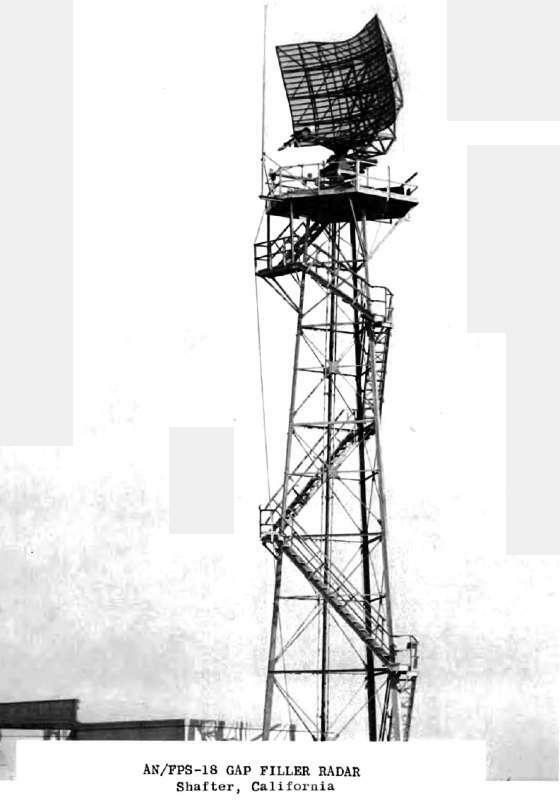 AN/FPS-18 detects F-86 aircraft in line of sight as high as 17 000 feet and as far away as 35 nautical miles. The antenna-feed assembly provides vertical and circular polarization. Search is limited from 0.5 to 30 degrees above the horizontal reference line. The radar set has identical dualchannel transmitters and receivers which operate automatically. If one channel fails, the other channel is automatically interchanged with the defective one. 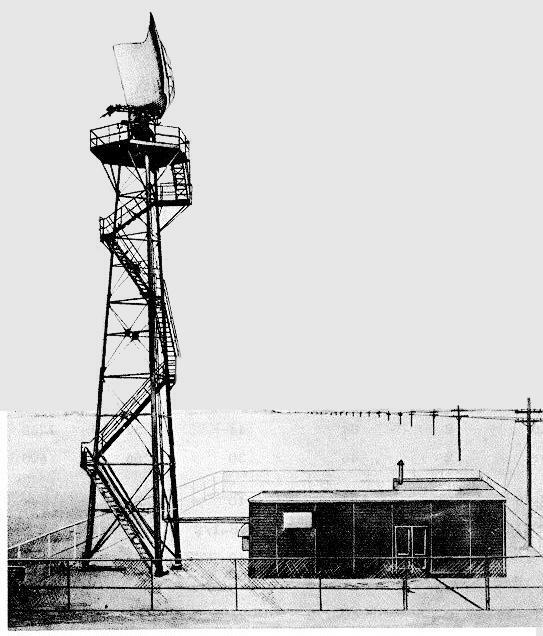 The system deployed in the late 1950s and 1960s, no more in operation. 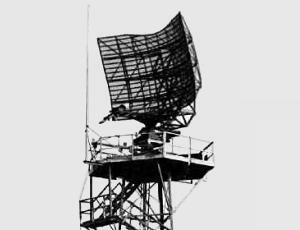 The radar set AN/FPS-14 is similar to Radar Set AN/FPS-18. Differs in that AN/FPS-18 use a Klystron in place of a magnetronmagnetron and has twice the pulse power output. The magnetron oszillator has the consequence, that the radar is pseudo coherent only and is limited in the moving target indication therefore.